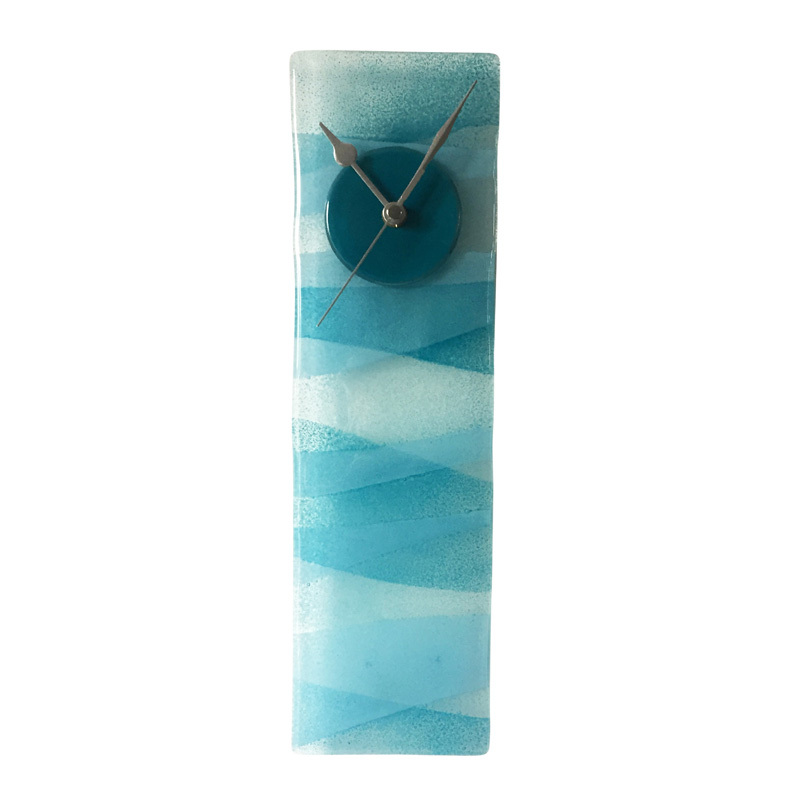 Relax after a busy day and watch the ocean waves ebb and flow on this stunning wall clock. The tones of turquoise and blue are created by pigments placed inside panels of fused glass which are fired in a kiln. Each clock is hand made by an artist and becomes a unique one-of-a-kind piece. The clock face stands out in a deep round blue disc, elegant and simple with no numbers and a set of silver metal hands. A must-have for your ocean-themed den or cottage. Size H35cm x W10cm.